A man who was wanted for a string of offences was caught after he was seen acting suspiciously by a plain-clothed officer. The officer saw Lee Thompson, 36, hiding something up his sleeve in Wisbech on 16 May and followed him to an abandoned car in Townsends Road. Thompson, of Napier Court, Wisbech, was challenged and arrested after the officer found tools and a knife on him. 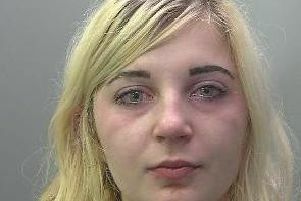 It transpired he was also wanted on warrant for failing to appear at Cambridge Crown Court earlier this year for criminal damage, causing actual bodily harm and two counts of failing to appear at a Probation appointment. He admitted all the charges on the warrant, together with possession of a bladed article and vehicle interference in relation to the 16 May offences, and was sentenced to a year and eight weeks in jail at Cambridge Magistrates’ Court on Monday (18 June). The sentences will run consecutively.